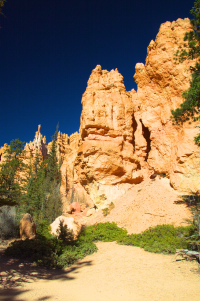 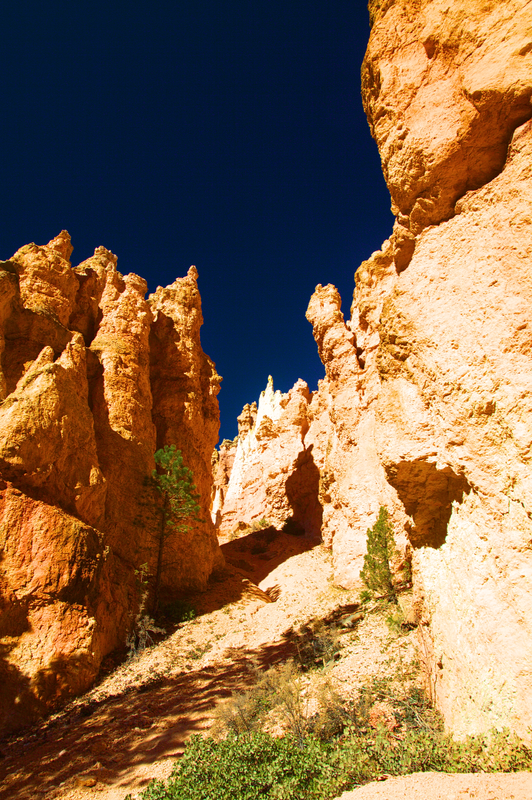 The Bryce Canyon is located in the southern region of Utah and offers unique variety of rock formations and colors developed from many years of erosion. 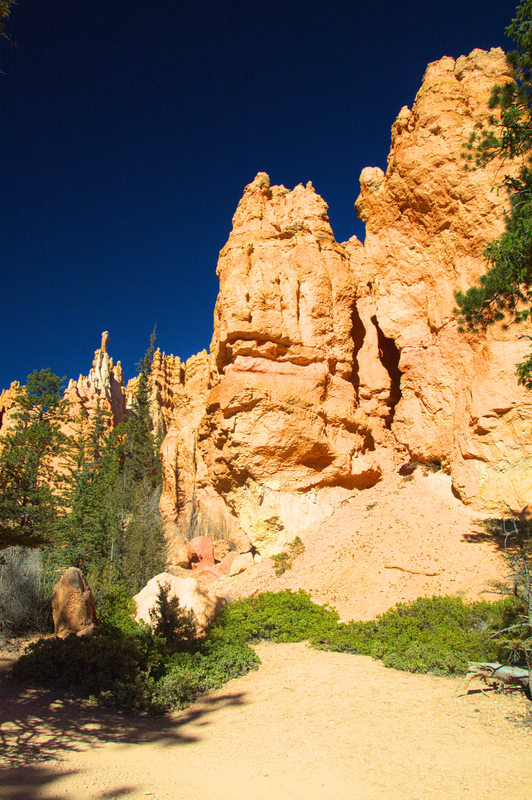 When I was there I also took the long hiking, which was beautiful and very quite. 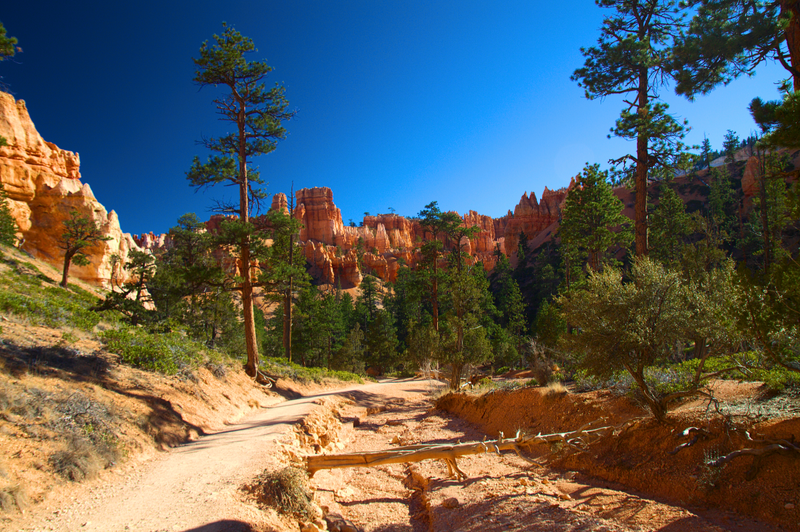 The reason could be, that I visited not in a usual season, so you can really enjoy the nature it offers. 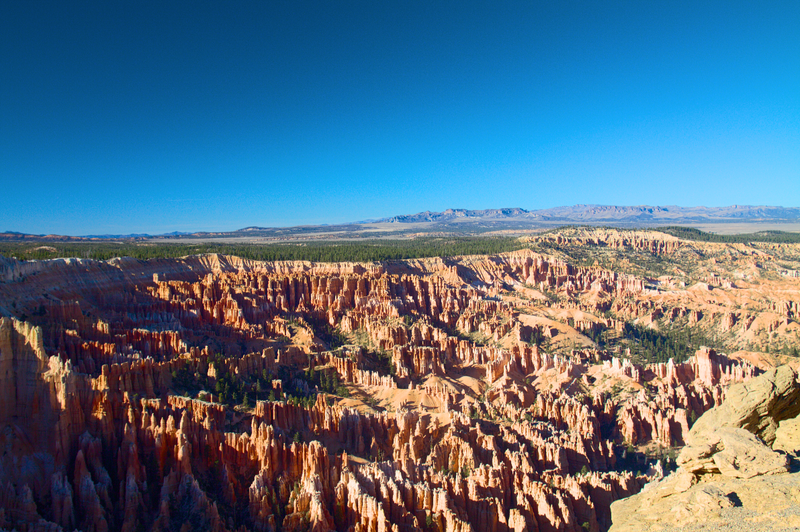 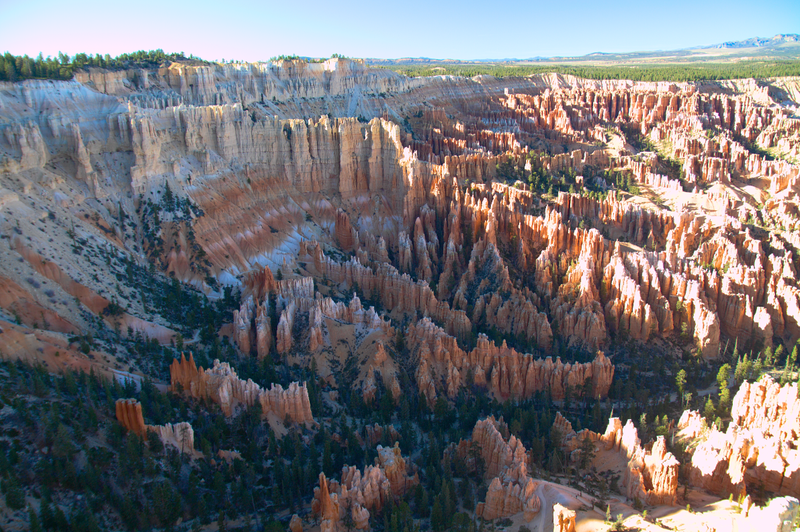 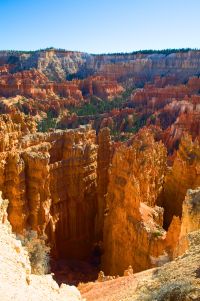 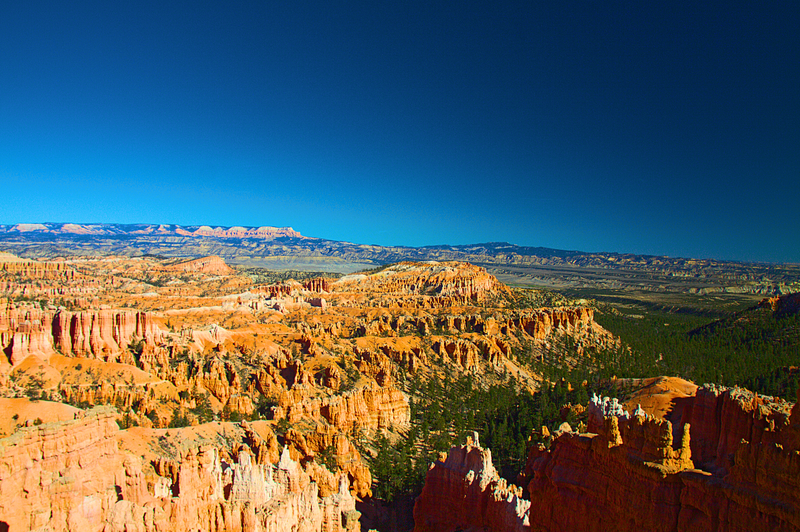 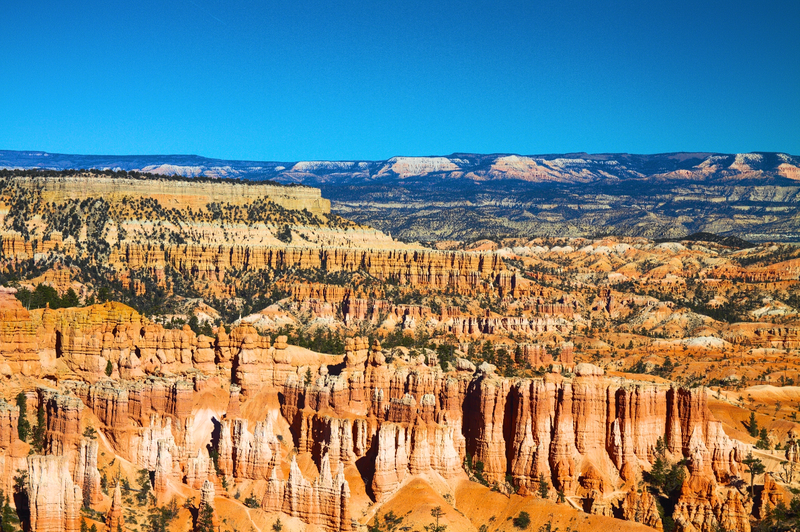 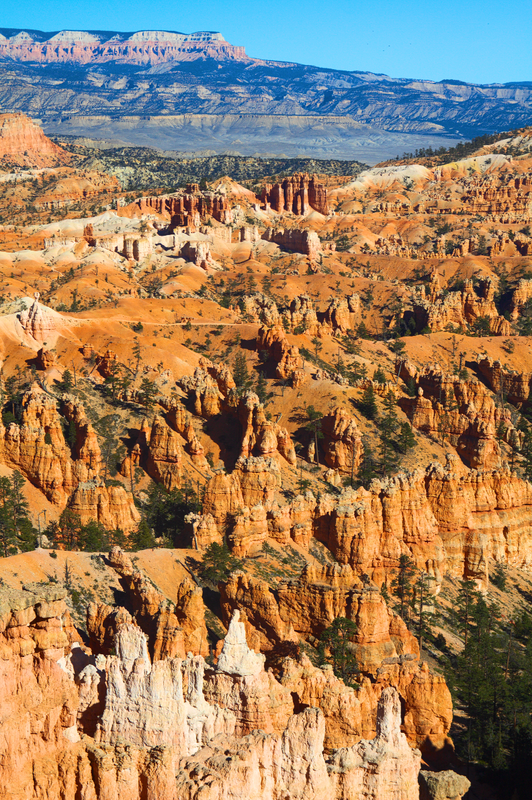 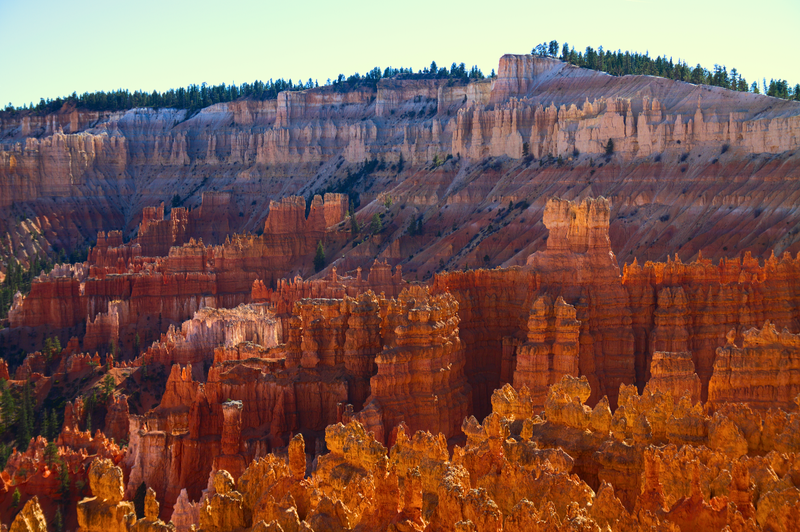 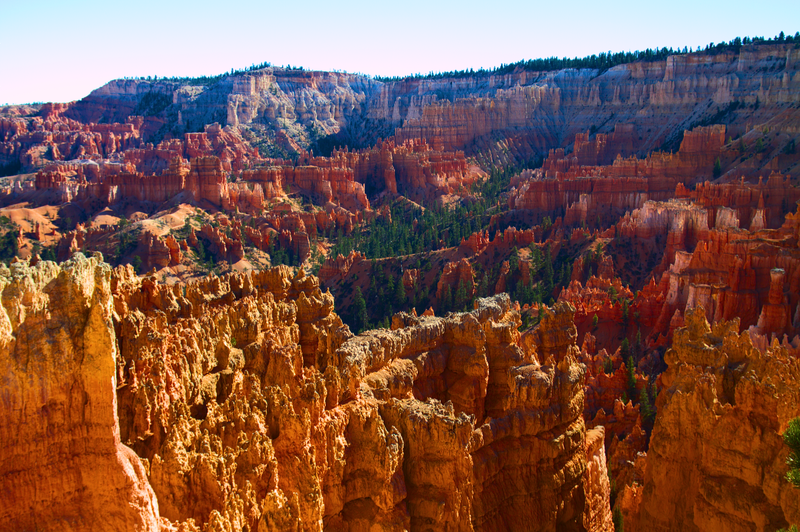 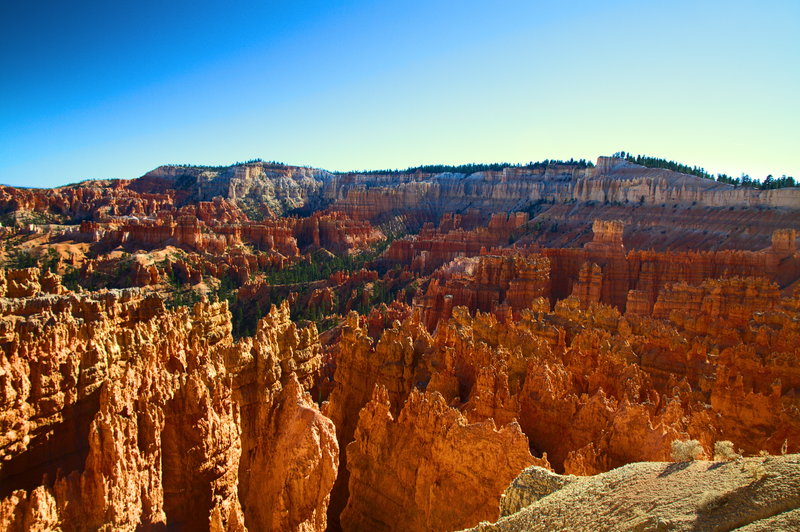 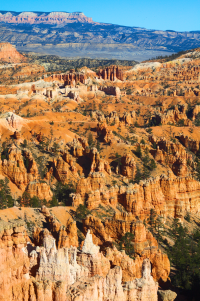 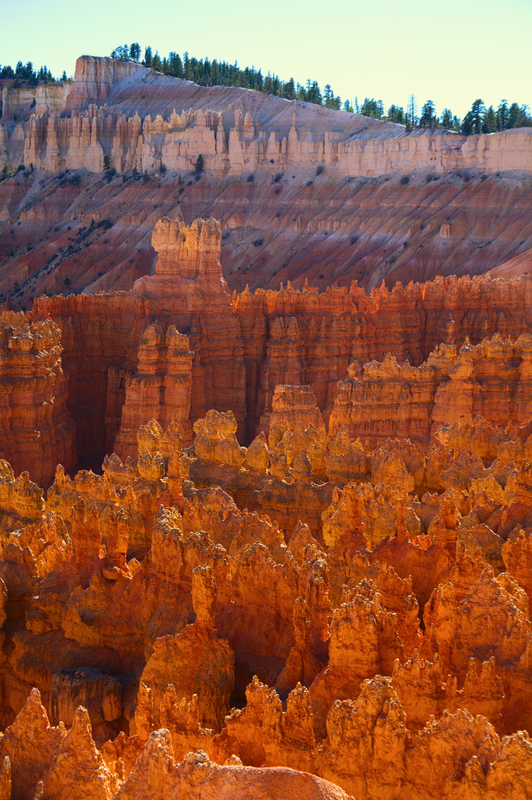 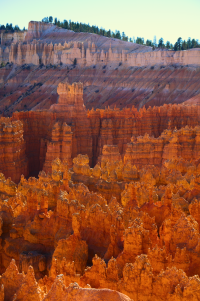 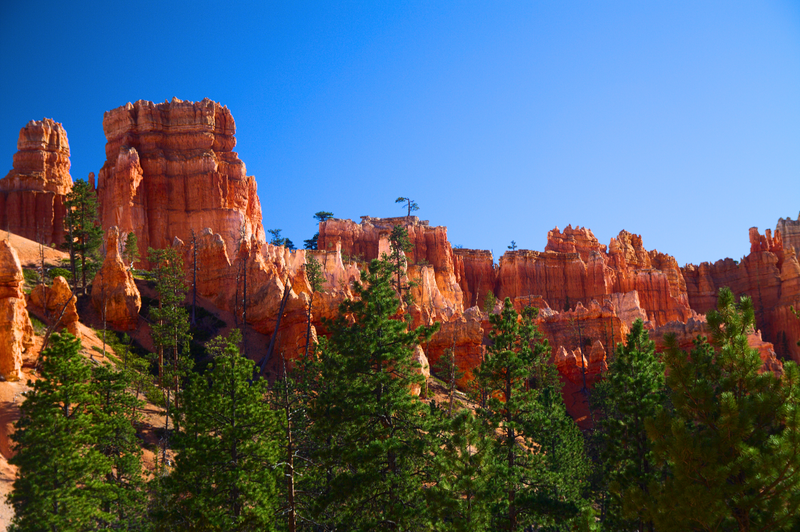 Another overview of Bryce Canyon. 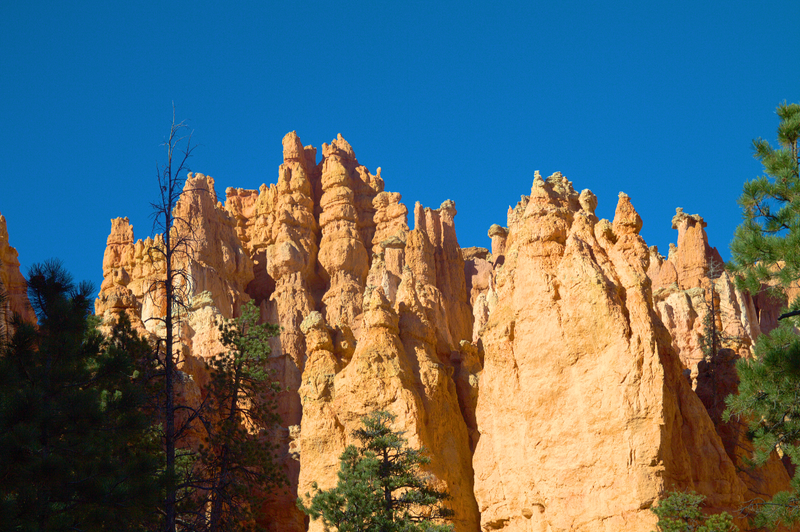 Closeup shot on some rocks. 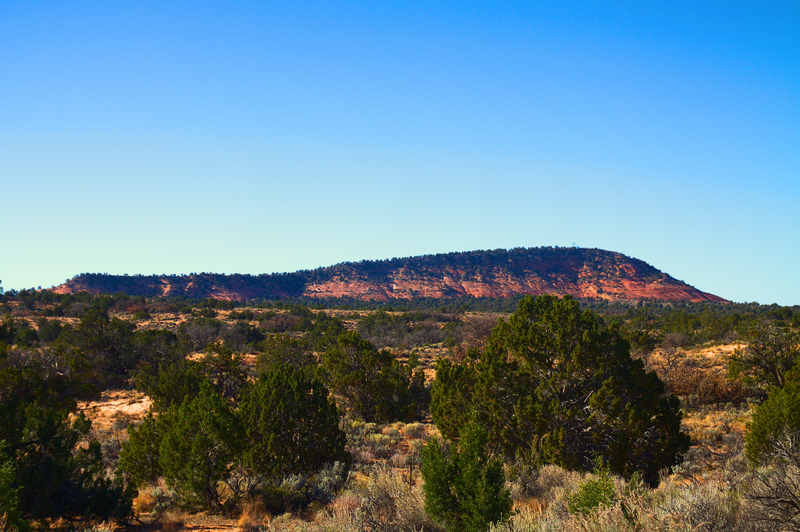 The beginning of the hiking way. 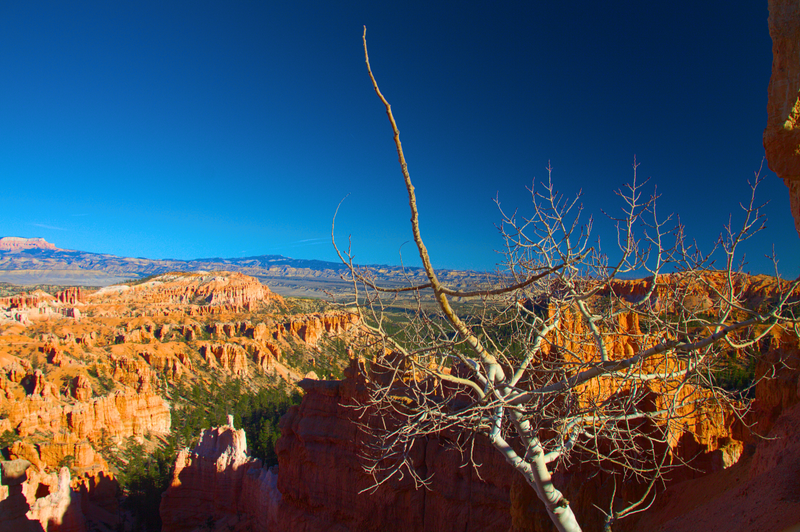 A dead tree on top. 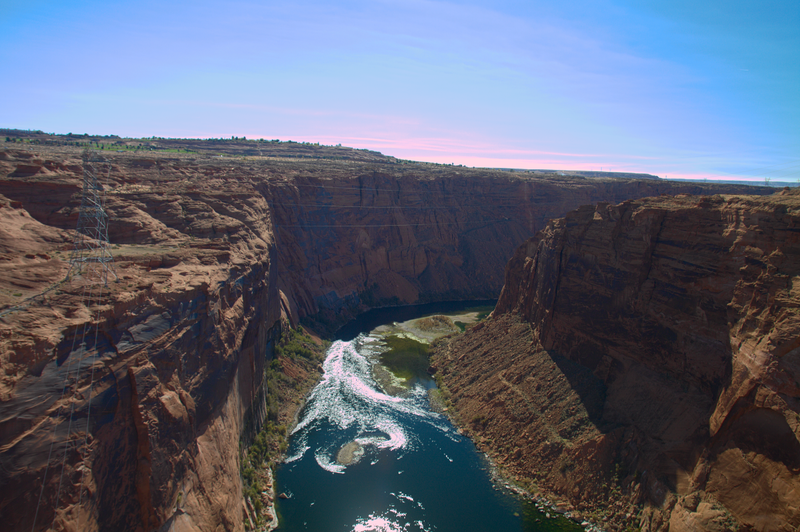 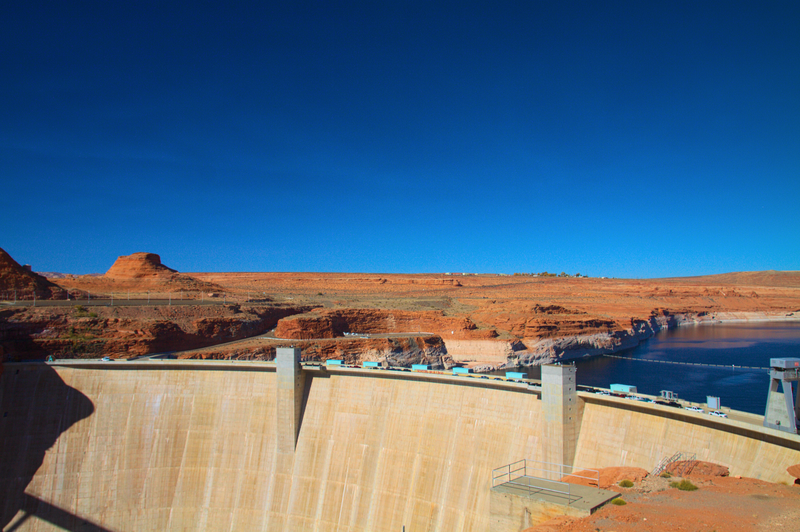 Total shot from the side into the canyon ring. Way down into the canyon. Look up from inside the canyon. 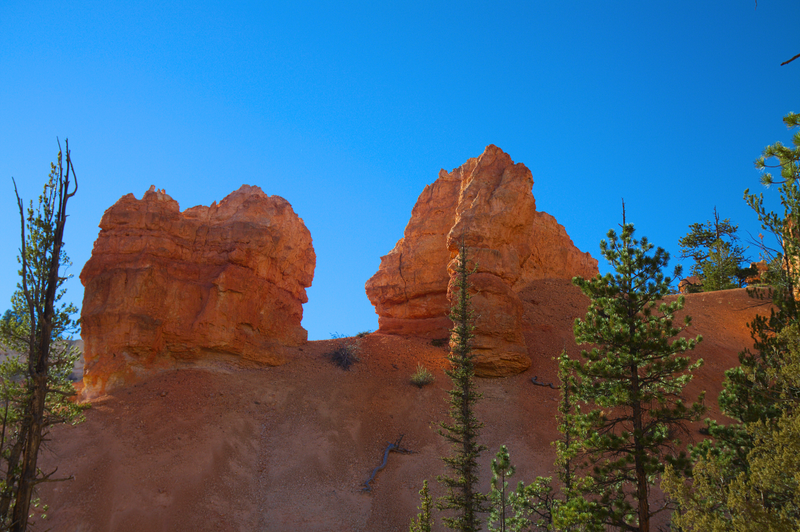 A line of trees before some rock formations. 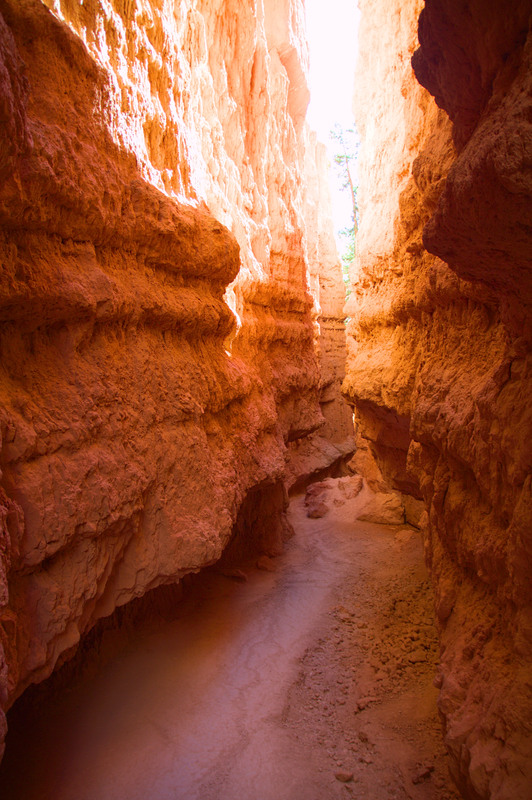 Hiking way with a dried river bed. 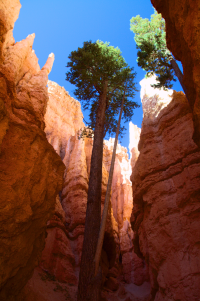 Some trees between large rocks.